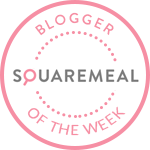 Emily's Recipes and Reviews | UK Food Blog | Leicestershire : vimto jelly bean macarons. The latest addition to my macaron recipe collection... featuring a well known British soft drink. These Vimto macarons have been coloured pastel purple before being sandwiched together with sweet Vimto infused buttercream. Established in 1908, Vimto is known for it's unusual fruity flavour made with a medley of grapes, raspberries and blackcurrants. A recent member of the Vimto family are their mini jelly beans - the very inspiration behind this recipe. So when I was asked if I wanted to join in the Vimto Jelly Bean Bake Off I knew I had to make macarons! Step one. Make the macaron shells by using my simple macaron step by step illustrated guide. Step two. 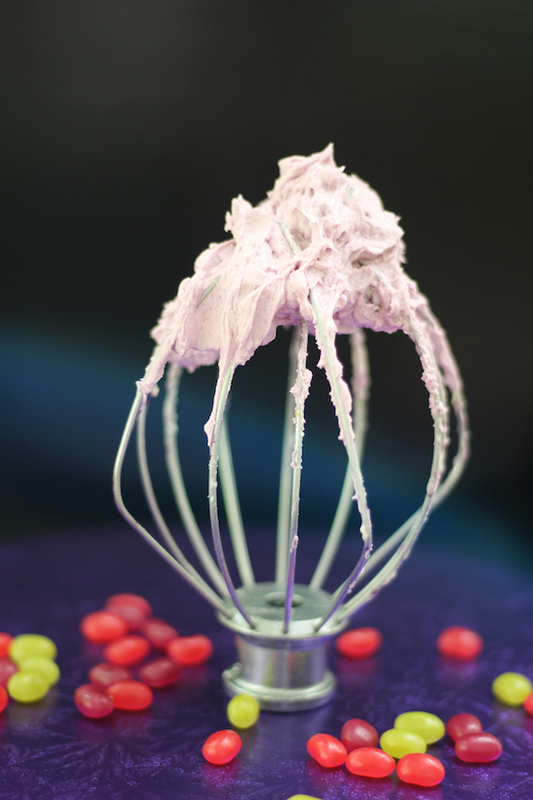 Whilst the shells cool down, make the Vimto buttercream by whipping together all the ingredients. I did try and ad jelly beans to the buttercream mix at first but it proved difficult to fit them inside and twist together neatly. Step three. Lastly, simply pipe the filling and twist together to make a full macaron. If you need any extra help, my macaron tips and tricks are hopefully helpful too! Have you tried the new Vimto jelly beans? What classic British drink would you turn into a macaron recipe? For some reason when I used the French meringue method my macarons kept sinking... couldn't understand why (Any ideas?). I used an Italian meringue method and found that they were a lot easier to work with! Do you have any tips on getting them to have the perfect feet?? Im still struggling a little! Thanks Emily, I'll give it a shot with a higher temp.